I bet some woman is going to have fun bunking with him. It will be just like Orange is the New Black!! Luckily it appears that he will be housed with men. COVINGTON – A jury didn’t believe that 72 stab wounds were inflicted in self-defense at a party in Independence on New Year’s Day 2014. After seven hours of deliberation Friday evening, the jury found Matthew “Maddie” Smith guilty of the murder of Eric Schreiber, 39, of Villa Hills. Smith, 26, is a transgender woman from Crescent Springs who claimed she killed Schreiber in self-defense. She faces life in prison in a men’s facility as the jury deliberated late into the night in the sentencing phase. Her attorney, Shannon Sexton, pleaded for mercy, asking the jury to impose the minimum 20 years in prison. 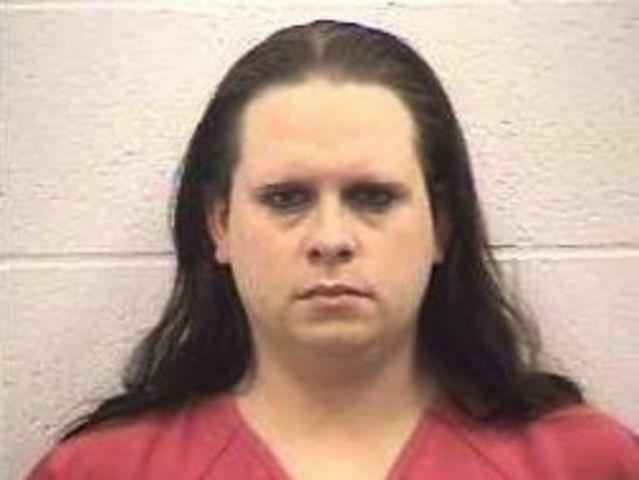 Smith, because she’s transgendered, has spent the past 15 months in isolation at the Kenton County Detention Center. The brutality of the crime, however, warrants life in prison, said Assistant Commonwealth’s Attorney Leanne Beck. Beck disputed that Smith will spend the entire sentence in isolation. After deliberation, the jury announced a 40-year sentence for Smith, according to the Kenton County Commonwealth’s Attorney office. The prosecution claimed she had a vendetta against Schreiber and made threats. Smith alleged Schreiber tried to sexually assault her while the two were at a party at Schreiber’s sister-in-law’s house for New Year’s Eve 2013. The prosecutor’s argument that 72 stab wounds couldn’t be self-defense appears to have swayed the jury. Schreiber’s throat was slit and stab wounds to the chest broke through the breastplate, said Beck. The fatal path that led to the stabbing began when Smith befriended Schreiber’s step-daughter, Corina Wallace, as the two worked at Citibank. Smith on the stand said Schreiber’s family welcomed her with open arms as she began her transition from male to female. But Smith said she had a frosty relationship with Schreiber, whom she accused of groping her and making unwanted advances at a Fourth of July party. The tension thawed and the two found themselves at a New Year’s Eve party Dec. 31, 2013 at Schreiber’s sister-in-law’s house in Independence. By 7 a.m. the next morning, Schreiber lay dead in the backyard with his throat slit and 72 stab wounds. Family on both sides cried at the verdict Friday. Schreiber’s family said they felt relief after four days of testimony that repeatedly accused the victim of attempted sexual assault. Smith’s family testified during the sentencing phase late Friday evening about Smith’s compassion and peaceful nature. His sister Brittany Smith spoke of her generosity. But Schreiber’s step-daughter testified during sentencing to the hurt of Smith’s betrayal. Schreiber’s family, however, empathized with Smith’s family.